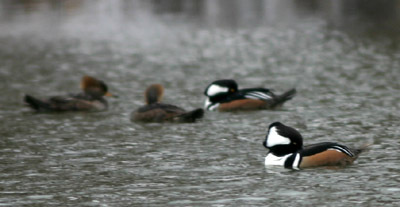 January 2006 is a month that will be long remembered in 10,000 Birds history. This is the month where we finally answered that burning question, “What is a Seahawk?” Welcome, football fans everywhere! Another highlight of the month was the Core Team excursion to the Bahamas. From Lakeview Drive on Paradise Island to our guided tour of New Providence birding hotspots, the Bahamas offered up some sensational avifauna. Frankly, though, birds were about all Paradise Island had going for it this time of year. i just saw a couple of birds the male of which has a dangly thing on top of it’s head. i thought it was a partridge and looked up how a partridge looks like, but it didn’t have that thing on top. the birds are the size of a pidgeon. 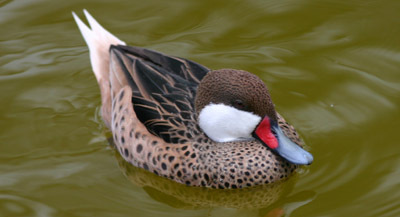 the female is shades of gray but the male is has more vivid colors. they both zoomed around pretty fast. You’re close with ‘partridge’ but the bird you’re looking for is one of the Quails – most probably California Quail which fits your description well (the closely related Gambel’s Quail is also a possibility, but it tends to give a browner, less colourful impression than California Quail). I’m guessing that you live in California where both these birds are found by the way – if not perhaps I need to think again!